Leading Manufacturer of aluminium extrusion press, hot log shear furnace, melting furnace, aging oven, extrusion press and automatic handling system from Surat. With the support of our adroit professionals, we are providing our clients a high quality assortment of Aluminum Extrusion Press. These products are manufactured using the best quality raw material with finer technology at our manufacturing unit. In addition, our offered products are also checked by our quality experts so as to ensure that the entire range is free from any production defect. 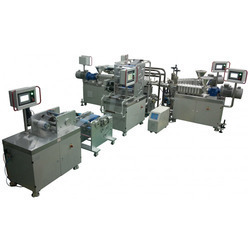 Customers can avail these products at nominal rates with bulk orders. 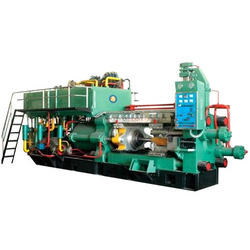 By keeping track with the industrial developments, we are involved in presenting a wide range of Hot Log Shear Furnace which has excellent surface for finishing operations such as anodizing. Offered furnace is manufactured by utilizing ultra-modern technology and utmost grade material keeping in mind the set standard. Our furnace is quality checked on various parameters before final dispatch to customers. 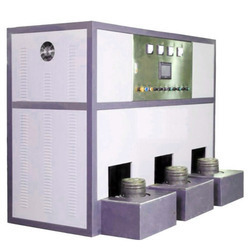 As well, this furnace is made available as per clients' specifications in a stipulated time. Owing to the expertise of our adroit professionals, we have been able to manufacture and supply a broad array of Melting Furnace. 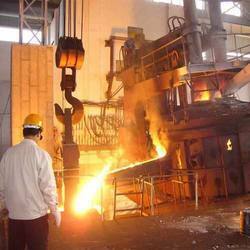 Our melting furnaces are acclaimed among customers owing to its less fuel consumption. 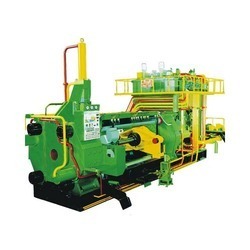 These melting furnaces are manufactured in line with international quality standards by using premium quality material & contemporary techniques. 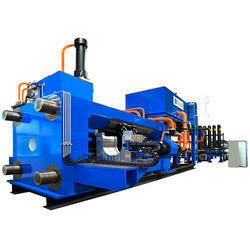 Offered melting furnaces are provided in various customized options to suit the variegated needs of clients. 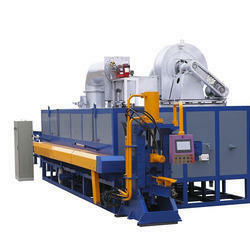 To keep the client satisfied, we manufacture and supply high quality Aging Oven. 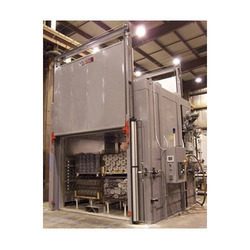 The offered aging ovens provide exceptional temperature uniformity for aging of aluminum products. Along with that, offered aging ovens are made available in different sizes to fulfill the various requirements of our customers. We are giving these aging ovens to our customers at market rates. With the 3 Extrusion press lines-900 MT, 1200 MT & 1800 MT (indigenous) - all PLC Controlled, the Company is able to cater to the requirements ranging from miniature profiles up to large-sized Profiles in Soft, Medium and High Strenght Alloys. The arrangement for taper heating of billets ensures' near-insothermal' extrusion for achieving uniform property along the lengh of the extruded profiles/ sections/bars. Eagle provides fitting solution for every conceivable needs such as architecture textile, luggage, refrigeration and air-conditioning varieties of extruded profile in different alloys. The most popular alloys are AA6063 (63400) 6061 (65032), 6351 (64430) and EC grade. Profile size can be 130mm for hollow and 150mm solids section. The DC Casting unit is flexible to cast 4”, 5” & 7” diameter billets in alloys ranging from 1xxx to 7xxx series. Automatic Single Puller- 1) Puller track length: As per Customer Requirement 2) Safety conveying track for trolley In order to reduce bending and distortion, improve product quality rate in an extrusion process, need to lead and pull the extruded profiles. The puller adopts AC motor driving, PLC control with a high degree of automation, simple operation and stable performance. 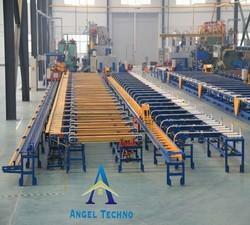 It cooperates with the hot saw and extrusion press to achieve linkage produce completely. 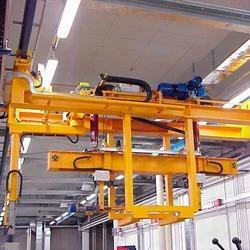 The puller bed use H section steel and square steel, with imports of AC motors, the pulling force can be an adjustment with different profiles and extrusion speed. We have two types of puller: chain transmission type and wire rope transmission type. 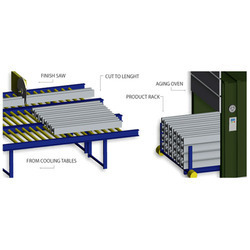 Auto Stacker transfers the aluminium profile from saw infeed table to ageing heat frame. 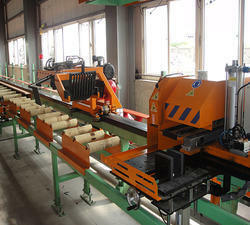 The whole progress is automatic, so the profile surface will maintain the good quality. Compare with the manual type, auto stacker can reduce the labour cost, reduce the damage of profile and increase the production.